Hi guys! Today, I am reviewing two amazing books: Kite Spirit by Sita Brahmachari and Summer's Shadow by Anna Wilson. My friend read Kite Spirit first. And she went on and on about it. I know Sita Brahmachari is a good writer so I couldn't wait to have a read myself. And, boy, was it good! Sad though. Very sad... After Dawn, Kite best friend commits suicide suddenly Kite feels alone, distraught, heartbroken. But, when her Dad takes her on holiday, Kite meets Garth, who might just help get Kite over the immense grieving stage. After that, I read Summer's Shadow, and it wasn't until once I read the book did I realize just how similar they are. In this story, Summer's Mum dies and then Summer has no one. No one. Apart from her 'distant uncle' that is. But, going and moving in to a house with a bunch of strangers, knowing she's unwanted is tough. Especially, when she wants to know the truth. What really happened, and why, did Cat (Summer's mum) send her there. She meets Zach there (local boy) who, like in Kite Spirit, by just help her overcome her grief. Again, this was so true and real and believable. The description was so vast and great so I could picture all the scenes so perfectly. Also, it had lots of mystery, why did her mum phone her 1 minute after her recorded death, who is that is that figure she sees that looks like her mum, why is she unwanted? So many questions that throughout the story aren't answered making me have to read to the end to find all the answers. I do have a favourite, but being the evil I am, you guys won't find out what it is! Mwah-ha-ha-ha! Just kidding! But, how about you read the book yourselves and let me know which one YOU preferred?! 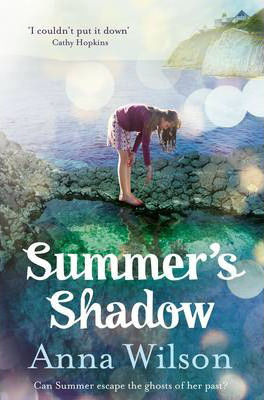 May I give a huge thank-you to Pan Macmillan's Bea before I go, for sending me Summer's Shadow to review, it was thoroughly devoured, swallowed, and enjoyed! I sent my ebook to your email.